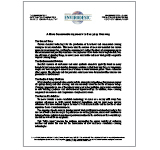 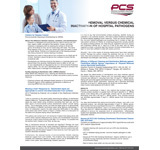 All of the documents listed below are available for download by clicking on their title. 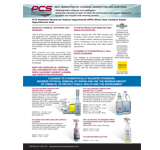 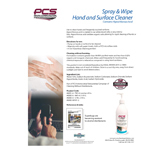 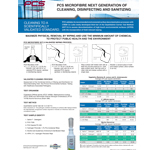 Tired of all the chemical residues left on surfaces and equipment from cleaning and disinfecting? 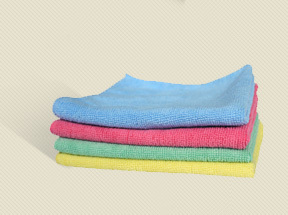 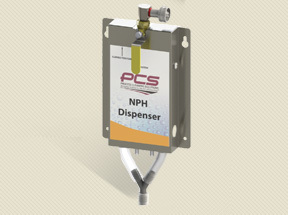 PCS NPH products reduce the amount of chemical used and their residues by up to 90%. 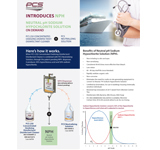 Neutral pH hypochlorous acid in low disinfecting concentrations are compatible with most medical equipment. 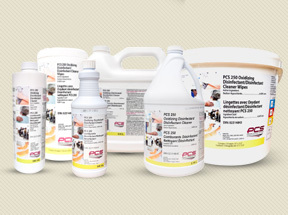 Neutral pH hypochlorous acid is not corrosive to metals and most surfaces not damaged by water. 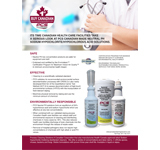 Hypochlorous acid neutral pH solutions are not skin and eye irritants and are commonly used for cleansing wounds. 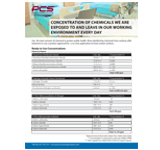 Most hospital dry surfaces are contaminated with biofilms which are tolerant of current cleaning and disinfecting processes. 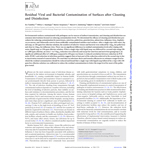 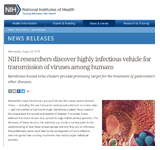 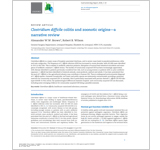 Hypochlorous acid has been proven to remove and dissolve biofilms. 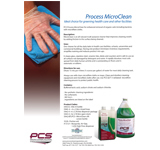 Combine with PCS effective physical wiping and removal processes. 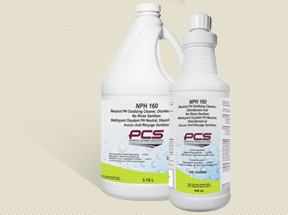 Disinfecting Neutral Ph hypochlorous acid is considered to be 40 to 80 times more effective as an antimicrobial than alkali sodium hypochlorite. 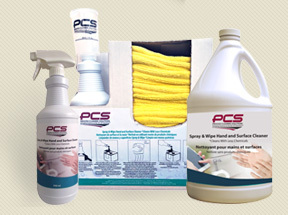 PCS family of Stable Neutral pH sodium hypochlorite/hypochlorous acid products.